2011 Levi’s Gran Fondo Video and Photos! I attended the 2011 Levi’s Gran Fondo and festival in Santa Rosa, California today. It was amazing with 7,500 riders converging on Stony Point Road and West College Avenue for an 8:00AM mass start. Also in attendance, besides Levi Leipheimer included Patrick Dempsey, Scott Nydam, Ethan Suplee, Odessa Gunn, and many more! And check out some photos here. 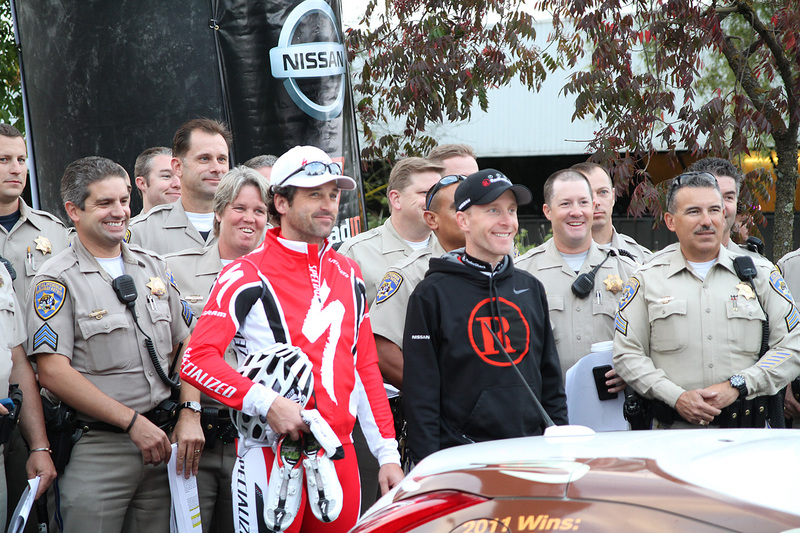 Patrick Dempsey and Levi Leipheimer at the 2011 Levi's Gran Fondo Bicycle Ride. Posted in Awesome Stuff, Celebrities, Cycling, Photography.